How Much Fan Do You Need When Riding Indoors? I’m still amazed when I hear from Zwifters who don’t yet use a fan. How do you survive? Granted, I run pretty hot, and perhaps you don’t need as much cooling as I do. But you do need a fan for Zwifting, unless you are specifically training for heat adaptation. Your body only runs at around 25% efficiency, which means that every watt of pedal power comes with three “wasted” watts which are turned into heat. Cruising along at 200 watts? You’re generating 600 watts of heat. Race at 400 watts and you’re producing enough waste heat (1200 watts) to power a toaster oven! Without a fan, that waste heat creates a superheated pocket of air around your body. Soon enough your body temperature will rise, your RPE will increase, and your power output will decline as your body kicks in its “governors” to keep you from overheating and damaging internal organs. Without a fan, you simply can’t hold your maximum wattage! This is probably the biggest cause for new Zwifters complaining that they can’t hold the same power indoors as they can outdoors. Staying cool is very important while riding indoors, a small change in body temperature can create a large change in the amount of power you can produce. As your body becomes hotter and hotter, you will perspire more and more to help cool the skin. Losing that fluid creates thicker blood and therefore more resistance internally in the cardiovascular system. The result of this is that your heart has to pump faster in order to get the same amount of blood to your working muscles. This is called cardiovascular drift and while you are stressing the heart more, you are not increasing your absolute FTP. By keeping yourself cool and hydrated, you will be able to produce more wattage for a given heart rate and thus increase your overall absolute fitness. 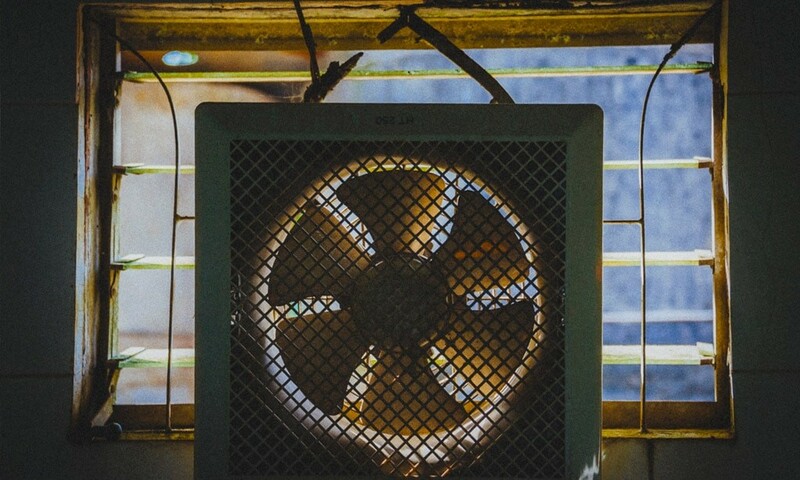 Overheating can easily cause a reduction in indoor power by 20 to 30 watts alone, so it’s critical that you have a large fan blowing on you during your workout and if you can do it in a cool room, that will make a difference as well. How Strong is Mother Nature’s Fan? Then we multiply that frontal area by how far we travel in a minute in order to get CFM. At 20 miles per hour you are traveling 20*5280=106,600 feet per hour. Multiply that by our frontal area–let’s use the hoods for a best guess estimate–and we get 20*5280*4.3=454,080 cubit feet of air per hour. Divide by 60 and you get 7568 cubic feet per minute. This is how much air is hitting you when riding outdoors on a windless day on the hoods at 20mph (32.2kmph). What if we tweak our variables a bit? So you can see that at a minimum you need around 7500 cfm of fan power to replicate outdoor air movement in your pain cave. 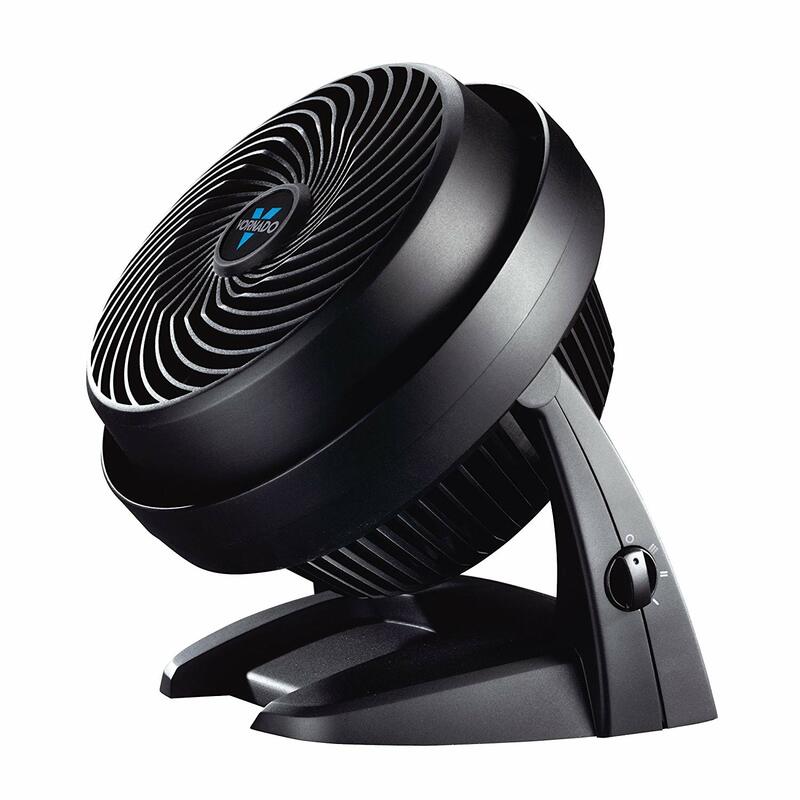 Cooling needs vary from person to person and setup to setup, but for me I like having two powerful fans so I can turn them both on or off independently when desired. I would say if you find yourself dripping sweat during anything other than maximal efforts, you need to improve your fan setup. If you want a lot of air in a narrow window, “blower” fans are the ticket. They don’t move as much air as a good box fan, but they move a narrow column of air very quickly, great for keeping sweat off your face. I’ve got two of these babies in my Zwift setup, as it’s pretty hard to beat their bang for the buck. Some of the air they move misses my body, and I highly doubt their quoted CFM number… but they move a lot of air and the price is right. 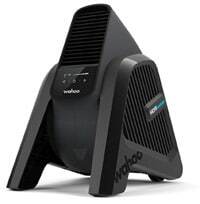 Kind of between a “blower” fan and the Wind Machine in terms of tightness of the air column, the Vornado packs a punch in a smaller footprint. Want the very best? Check out Wahoo’s Kickr Headwind. It blows a very tight column of air right where you need it, and wind speed can be automatically modulated based on your virtual speed (to simulate a headwind) or heart rate (to cool you when you need it most). I’ll be posting a review on this soon, but everything I’ve read and seen on this has folks very pleased with its functionality. Pro tip: get a wifi-connected power strip so you can easily turn your fan(s) on using your phone! Got a fan setup you’re happy with? Share below! Great info on the fan. I use a fan in the summer, but not in the winter. I ride in my basement and it remains about 58 degrees Fahrenheit in the winter. I’m in Virginia, USA. I find I like the extra heat my body produces without having a fan. I ride in my garage here in California, and it’s usually in the high 50’s in the morning. I start with a long-sleeve jacket on, but soon warm up and take that off, then turn on a fan (or even two) after a bit. Like I said–I run hot! Australia in summer, presents zwifting in a unique set of scenarios. My own room has an ambient temp of 28c at say 10am. I use an ordinary desk top fan, mainly to move the air around. Cooling does not really come into it. I suppose it depends on ones acclimatisation, being fairly used to warm conditions which I prefer. Try to keep my Zwift sessions to 2hrs at most I am only doing Zwift thru injury after an outdoors spill, triple rotator cuff tear. So at least 6 months of indoor riding to maintain some condition and sanity. Man, I would sweat like a pig at a luau in that sort of heat! Where is the best place to put the fan? Put, or aim? In terms of aiming I like to have fans blowing on my torso the most, as that seems to keep me coolest. I also like one on my bald head, because there’s a lot of sweating that happens up there. 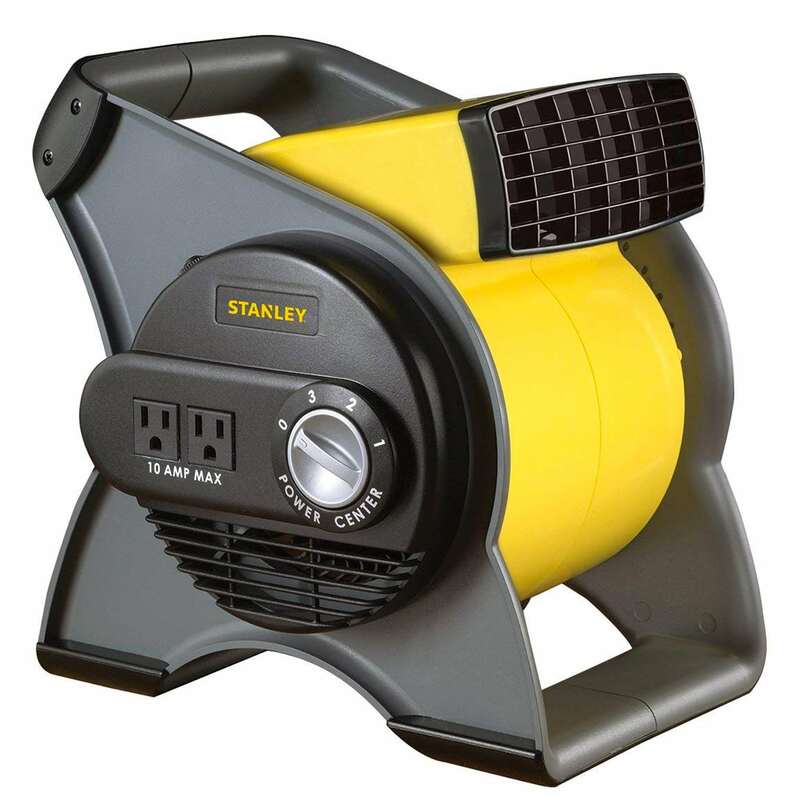 All the links on the fans go to the Stanley model. Was running two of those cheapy, small Honeywell fans until you published your Christmas suggestion article. Received that 20” Lasko fan and WiFi powerstrip (per your suggestion). I couldn’t be happier. One of the best Christmas gifts I’ve received… and it’s just a big ole cheap fan. LOL. 25% means 800w to generate 200w pedal output. Correct. So if you’re putting out 200w into the pedals, there’s 600w of heat being generated. 800w total. Eric are you using a remote? Or are these manual fans? curious how you turn it on mid ride. I’m using the exact wifi-connected power strip linked in the post above (https://amzn.to/2FDKINZ). There are lots of different versions of this idea, including wall plugs, etc. But having it easily accessible from my phone is great! I actually have my trainer power running through this strip too. They also have models which go up near 8k CFM. I sweat a TON and this negates the disadvantage of being a heavy sweater when riding indoors. Here’s a question then, where should I be aiming the fan? Location: Waikato, North Island, New Zealand. My pain cave has an average temp in the summer of 27c. 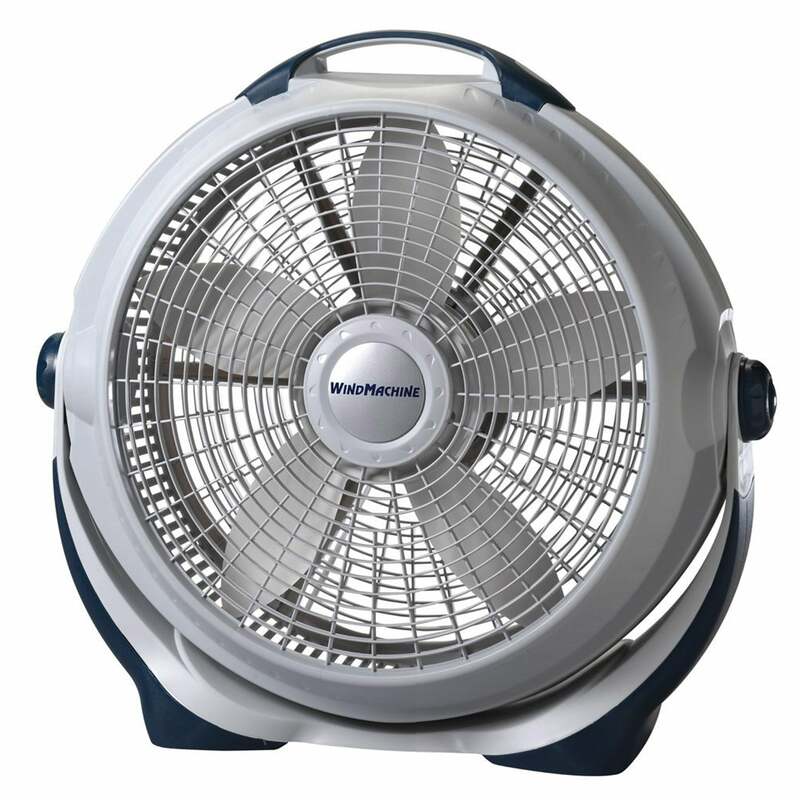 Since I run hot, I use a couple of industrial floor fans and have thought about using a bigger pedestal fan I have for cooling things down when I work out in my workshop. The floor fans have a blade width of 450mm dia. and according to specs they both put out 124 m3/min (= 4,379 CFM), they have 3 speeds so not sure if that’s at 1 or 3, I usually run the fans on 1 but if it’s really hot then 2, haven’t used 3 yet. One sits on the floor on the left the other sits on a seat on the right, while they do tilt, I like the air coming at me from in front not below. The pedestal fan has a diameter of 750mm and spits out 290m3/m (=10,237 CFM). On speed 1 I can feel the air being blown at me from 9 meters away, on 3 it sounds like a small aircraft about to take off. Behind my bike/treadmill set up I have a couple of doors that I open to the outside as well, lets the air escape, or the room just gets hot a stinky and in the winter it gets all moist. I started with one fan but ended up buying two. I wouldn’t go back to just one now. The pedestal fan would be a welcome addition.